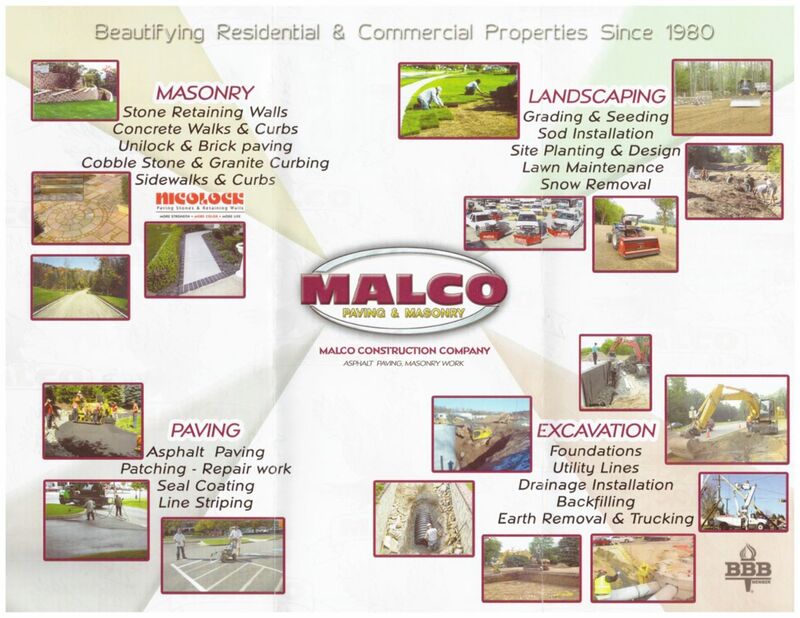 Malco Construction has been meeting Westchester County and the Tri-State area's paving and masonry needs proudly for over 20 years. We are fully licensed, fully insured, and a proud member of the Better Business Bureau. Free Estimates. 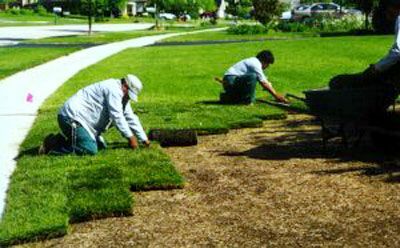 Asphalt & blacktop, paving, cobblestone, curbing, concrete sidewalks, stone walls, seal coating, excavation, masonry work, brick paving systems, stone retaining walls, concrete walks & curbing, Unilock & brick paving, cobblestone & granite curbing, sidewalks & curbs, Patching - repair work, seal coating, line striping, Excavation - foundations, utility lines, drainage installation, backfilling, earth removal & trucking. We work with local companies to get the material that is closest to the job, so that you don't have to worry about extra fees just for the transport of the materials. We are members of the BBB, Angieslist, and we hold Home Improvement Licenses in Westchester, Putnam County, the City of Yonkers, Rockland County, and the state of Connecticut. Brooklyn,	New York,	Bronx,	Jersey City,	Jamaica,	Flushing,	Yonkers,	Astoria,	Paterson,	Stamford	and other cities within 30 miles of Mount Vernon.,	Elmhurst,	Corona,	Ridgewood,	Woodside,	Union City,	East Elmhurst,	Clifton,	Queens Village,	Jackson Heights,	Forest Hills,	New Rochelle,	Mount Vernon,	Passaic,	White Plains,	Hempstead,	North Bergen,	Valley Stream,	West New York,	Fresh Meadows,	Ozone Park,	Spring Valley,	South Richmond Hill,	Bayside,	South Ozone Park,	Rego Park,	Hackensack,	Westbury,	Westwood,	Kearny,	Elmont,	Springfield Gardens,	Great Neck,	Greenwich,	New Hyde Park,	Whitestone,	Teaneck,	Scarsdale,	Hoboken,	Woodhaven,	Saint Albans,	Richmond Hill,	Port Chester,	Fort Lee,	Oakland Gardens,	Maspeth,	Fair Lawn,	Hollis,	Rosedale,	Garfield,	Sunnyside,	Middle Village,	Port Washington,	Howard Beach,	Floral Park,	Glen Cove,	Nutley,	Garden City,	Bergenfield,	Englewood,	Paramus,	Long Island City,	Ridgewood,	Franklin Square,	Syosset,	Little Neck,	Lodi,	Uniondale,	West Hempstead,	Nanuet,	Cliffside Park,	Bronxville,	Tarrytown,	Cambria Heights,	Kew Gardens and College Point	. How can we save money hiring you? 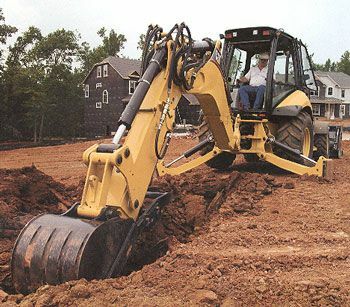 Honestly, you may think just patching up a broken and old driveway or sidewalk will do the job because its cheaper, but it just means that a few years down the line the job will be even bigger, more time consuming, and expensive. Do you offer any service after finishing the work? 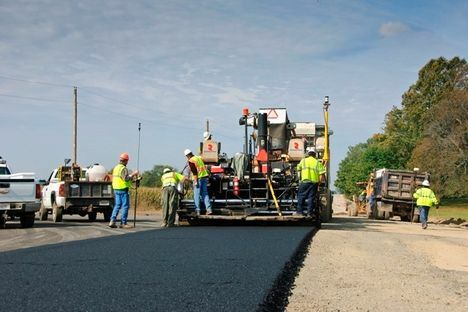 We check in, or ask you to check in, a few years down the line, for most asphalt jobs need maintenance after 5 or 10 years. 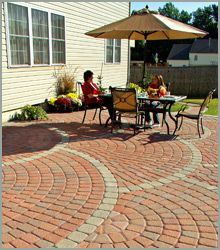 We do driveway seal coats to keep your driveway looking good even when its 10 years old; we patch pot holes from winter damage; we repoint brick pavers when wear and winter pushes them out of place. What questions should a customer ask before hiring you? First make sure they know what they are talking about - can they answer all your questions? Can they offer helpful tips? But even more importantly, always, always, always make sure your contractor has a home improvement license in your area. We are licensed for all of Westchester County, Putnam County, Connecticut, and NYC. What types of jobs are the most common? 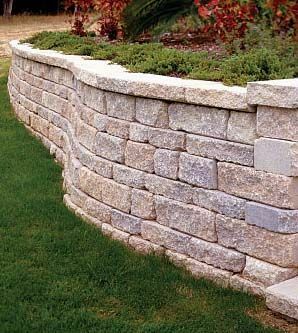 Most often we handle driveway, sidewalk, and parking lot repairs, however we also handle hardscaping for front and back lawns: retaining walls, patios, and outdoor kitchens. If it's made of brick, concrete, or asphalt we can make it. What do you recommend to know before hiring you? Please have your contact information, billing and job site address, explanation of the scope of work, and a rough schedule of when you can meet up that week to go over an estimate. Fixr has validated the email provided by Malco Construction Co.
Fixr has reviewed the content provided by Malco Construction Co to match our community guidelines. Malco Construction Co has been rated with 38 experience points based on Fixr's rating system.